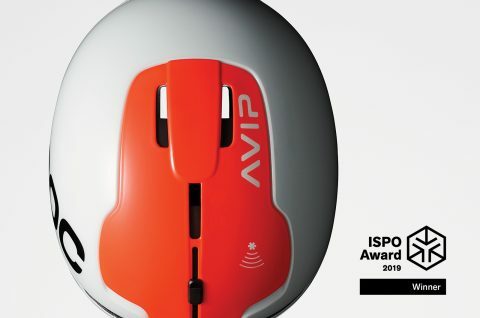 POC, which has built a reputation on safety, innovation and design, has won esteemed ISPO awards for two of its freshly unveiled 2019/20 snow collection; an ISPO ‘Gold winner’ award for the POCito VPD air vest + TRAX POC edition, an integrated protection, alert and tracking system, that will allow parents to monitor and keep children safer in the mountains, and an ISPO ‘Winner’ award for the new Obex BC with NFC chip helmet, which thanks to the integrated technology, allows the helmet to communicate for you and help first responders in the critical ‘Golden hour’ after an accident. POC’s new 2019/20 collection also includes a host of new products, in particular new goggles and eyewear, enhanced protection and the brand new ‘Transit’ apparel collection, which features precise details and fabrics to enhance the downtime between ski racing and training sessions or the long adventures to far-flung places. Commenting on the new collection and ISPO awards, Jonas Sjögren, POC CEO said– “Our mission is fundamental to driving our innovations and we have long held the belief that in order to protect lives we need to consider all aspects of an accident; pre, during and post, and especially how we can use technology to pursue that goal. Any parent skiing with children will have had those moments of dread when they lose sight of their children on the mountain, and the following need to locate them quickly. Likewise, to get the best treatment following an accident, an unconscious skier or snowboarder needs to be able to communicate their medical details to first responders. Winning ISPO awards for our products, which can eliminate these as problems, highlights the importance of technology and innovation in protection and I’m overjoyed and energized by the recognition of the ISPO judges. POC will be presenting the winners and all the new 2019/20 collection at OR and ISPO. OR snow show –January 30/Feb 1, 2018. Booth – 36099-UL.